The mouse has been one of the fundamental elements of computer science for decades. During this time it has undergone many transformations, and Microsoft is one of the manufacturers that has been behind some of the most important. In fact, the first hardware device ever manufactured by the company founded by Paul Allen and Bill Gates was precisely a mouse in April 1975. Among the models that have been manufacturing since then we are from the first ergonomic mouse to the revolutionary IntelliMouse Explorer, the first to abandon the classic balls or trackball to replace them with optical technology. It all started with the “monster of the green eyes”, a mouse that came to the market next to the Microsoft Word application in 1983, the same year that Apple also presented its first mouse. However, the project was born a year before, when in 1982 the company decided to create a new division called Microsoft Hardware. Microsoft’s first mouse came on the market on May 2, 1983, just four months after Apple introduced the Lisa computer with which it revolutionized computing thanks precisely to include a mouse based on the development of the Xerox PARC research center. This center belonging to the company Xerox had been working on this technology for years, and had presented the first prototype in 1968. Unlike the Apple and Xerox PARC mice, which had one and three buttons respectively, the Microsoft Mouse was betting on having two buttons. These had a green color that stood out in his white body, which is why he ended up receiving the nickname of Mouse (or directly “Monster”) with green eyes. The Microsoft Mouse required an IBM computer with 64K of RAM and a BUS interface to connect it, although later it was adapted to the DE-9 and DB-25 connectors. Although it had been developed by Microsoft, it was produced by the Japanese company Alps, and its movement worked thanks to a heavy metal ball with which the small rollers were rotated for the X and Y coordinates. The price of the mouse and the BUS card was 195 Dollars. On how Microsoft developed its mouse there are some speculations, although there are clues that suggest that it could have collaborated with the same Xerox company that helped Apple with its own. This is because a prototype of 1981 was sold a few years ago with the Xerox logo, which already had the same form factor with its characteristic two buttons. These two buttons, by the way, helped Microsoft programs could include a contextual menu, the typical right click menu that continues to survive in our days. In 1985 the Microsoft Mouse 5.0 or “gray-eyed” was launched, which repeated the predecessor’s design but changed color to the keys, updating it in step to make it compatible with the PS / 2 serial. Microsoft continued to evolve their mice. 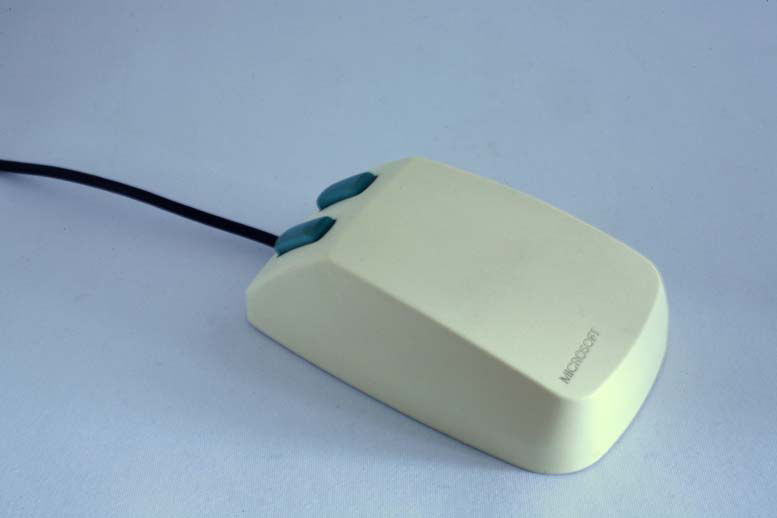 In 1987 it presented a new model, the mythical “Dove Bar”, with which the buttons of the mouse evolved to have a flatter appearance and integrated to the body than the previous ones, with the left slightly larger than the right. 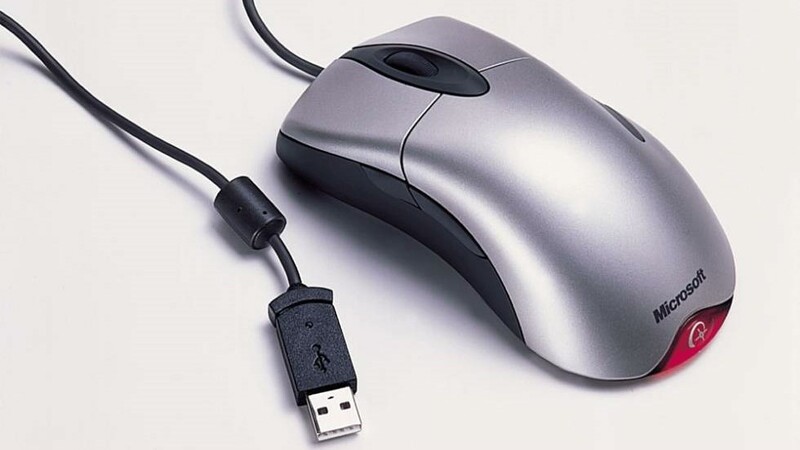 In 1998 Microsoft announced that its hardware division had managed to exceed the first million mice sold, a figure that doubled to reach two million just a year later. In 91 they turned the concept of a mouse around with one that had the wheel on the top to move the pointer with the BallPoint Mouse, but its next big success did not come until two years later. In 1993, and after two years and ten million dollars invested in understanding the concepts of ergonomics, Microsoft launches the first ergonomic mouse in history. 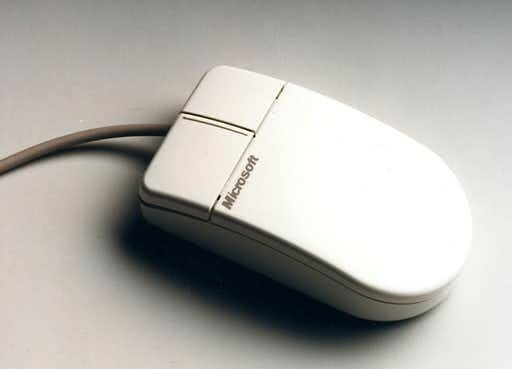 They called it Microsoft Mouse 2.0, although in the 85 they had already launched one called 5.0, and stood out for its rounded appearance to fit the palm of the hand. Due to its similarity with the organ, this aspect earned him the nickname of “kidney” or kidney. Although the launch was a nightmare for lefties because it was clearly designed for right-handers, its success was resounding, and a year later they had already sold five million units. That 1994 Microsoft took its ergonomic philosophy also to its new Keyboards Natural Keyboard, which released a split design that continue to maintain with current models. In 1995 they experimented again by launching the Microsoft EasyBall mouse. It was the first designed for children between two and six years, and won several awards for its design and research that had made the company to adapt to users. The mouse had gigantic dimensions, with a huge yellow ball in the center that children could turn to move the pointer. This ball made the mouse itself did not have to move, something good so that children did not end up throwing it to the ground, and had a single button to click. 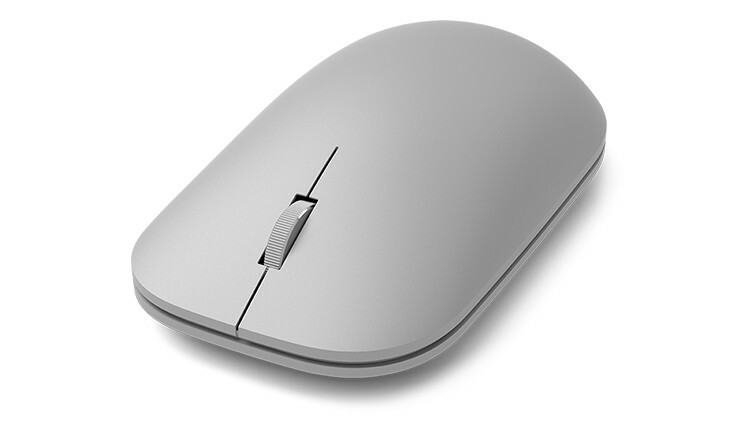 Inheriting the ergonomic design lines of the Microsoft Mouse 2.0, the American company launched in 1996 a new family of mice. It was his successful saga IntelliMouse, whose first model introduced the novelty of the scroll wheel between its two buttons. With it, users could stop using the application bars to scroll through the content, and for the first time they could zoom just by pressing the Control button while moving the mouse wheel. In 1997 they continued to explore new possibilities, and launched the IntelliMouse TrackBall. It was a peculiar mouse that recovered the ball of displacement in the superior part as they did years before with the BallPoint Mouse, so that the cursor could move with a finger instead of moving the hand. A year later, in 1998, came the Microsoft IntelliMouse Pro, a redesign of the original IntelliMouse. On April 14, 1999, Microsoft presented the IntelliMouse Explorer, the first commercial optical mouse, at COMDEX. They used IntelliEye optical technology, a response to the first LED multi-surface optical sensor developed by the Agilent company that same year, and was the first to replace the balls with an LED laser to move the mouse pointer. Microsoft referred to him as “the most radical technological and mouse advancement” since the 60s, and finally came to market in October 1999. The concept of optical mice had already been explored by companies such as Xerox and Mouse Systems Corporation in the eighties, although it never became commercialized. The IntelliMouse family continued to evolve over the next few years, improving its accuracy and adding new features. In 2003 the IntelliMouse Explorer 2.0 arrived, which included a wireless variant called IntelliMouse Explorer for Bluetooth. At the end of that same year came the IntelliMouse 3.0, the last of the series before it was discontinued. From time to time, devices reach the market that become symbols that transcend their characteristics to become guides that set the path of design and innovation. Thinking of this concept come to mind modern devices such as the iPhone, but in its day, the Microsoft IntelliMouse were also in this select group. Microsoft has continued to manufacture mice and keyboards since then, although none has managed to transcend as much as the IntelliMouse did. So much so that in 2017 they re-launched the brand with a new IntelliMouse Explorer, although some failures in its sensors prevented it from being as revolutionary as its predecessors. However, this does not tarnish a trajectory that makes Microsoft one of the largest and best mouse manufacturers in history. In addition, the company continues to try to risk with new lines of design such as its Arc Touch 2010 or the latest line of Surface Mouse, which precisely tries to take advantage of the momentum of a Surface range that is getting to re-launch the hardware division of the company.